“UBC is delighted to welcome a leader with such a strong track record of fundraising, engaging alumni and the business community. I am confident Heather’s experience will help UBC secure the support and partnerships that are essential to enrich the learning environment, build on research excellence and realize other strategic priorities,” said UBC President Santa J. Ono. McCaw will work closely with the Board of Governors, executive, deans, and other partners to oversee fundraising and alumni engagement for the university. She will also provide strategic leadership to ensure the university is successful in achieving the vision and goals set out in its strategic plan: Shaping UBC’s Next Century. 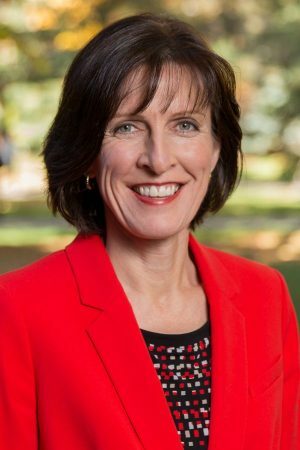 A UBC alumna, McCaw returns to UBC after three years as vice-president, advancement at the University of Alberta. Before that she was associate vice-president, development at UBC, where she co-directed the university’s $1.5-billion fundraising and alumni engagement campaign and helped establish UBC’s international fundraising program. “I am excited to return to UBC and renew my connections with alumni, donors and the broader community. UBC is a remarkable institution which inspires students, faculty and staff to reach their potential and make important contributions to society both locally and globally.” said McCaw. McCaw has also been vice-president of consultancies Give Canada Fundraising Corporation and Spectrum Marketing Corporation, securing partnerships and donations for non-profit organizations such as United Way of the Lower Mainland, the Rick Hansen Man in Motion Foundation, University of Victoria, University of Calgary and the Toronto Rehab Foundation. UBC is a global centre for research and teaching, ranked among the 30 best universities in the world. As the second largest university in Canada, UBC attracts more than 65,000 students from 160 countries on two major campuses. With over 16,000 faculty and staff, and 325,000 alumni, UBC has an annual operating budget of $2.5 billion with more than $620 million in annual research income.